Stars represent freedom and with these large painted patriotic metal barn stars you have the freedom to let your creativity take charge. Whether you choose an Americana metal star, an Old Glory star, or one of our texas flag stars you'll find what you are looking for. Our large metal stars are NOT like those made of thin tin stars. Our metal barn stars are made by our Amish friends here in Ohio and made from HEAVY DUTY 22 gauge metal with a galvanized coating. 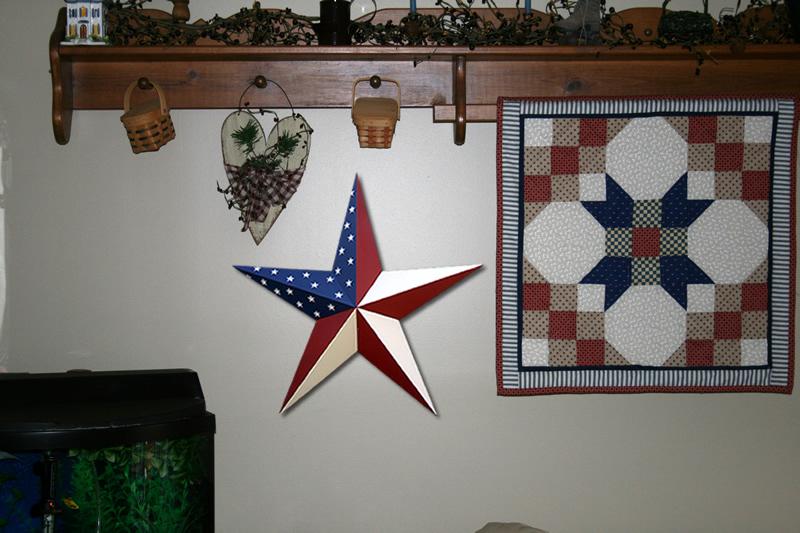 Hang on your wall for metal wall stars, inside, outside, whatever you decide these big patriotic metal stars are sure to be a large accessory that you will love.